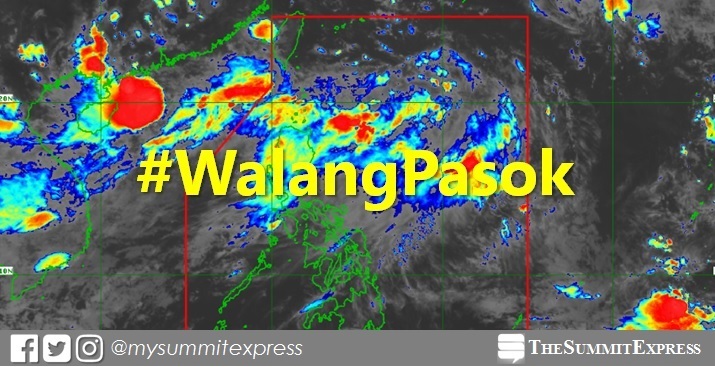 MANILA, Philippines – Several local government units (LGUs) and schools announced suspension of classes for Tuesday, August 14, 2018, due to heavy rains and flooding in the capital region and Luzon areas brought by Southwest Monsoon (Habagat) enhanced by the Low Pressure Area (LPA) and three weather systems outside the Philippine Area of Responsibility (PAR). At 3:00 pm today, the Low Pressure Area (LPA) was estimated based on all available data at 920 km East Northeast of Basco, Batanes. State weather bureau PAGASA announced on Monday at 4 pm that Severe Tropical Storm "Leepi" was estimated based on all available data at 1,820 km East Northeast of Extreme Northern Luzon. SEE ALSO: Is August 22, 2018 a regular holiday for Eidul Adha in the Philippines? Tropical Depression Yagi (formerly Karding) was spotted 1,380 km North Northwest of Extreme Northern Luzon. Tropical Storm Bebinca was located at 925 km west of extreme Northern Luzon. Yellow Warning Level: HEAVY RAINS may cause FLOODING in flood-prone areas of Metro Manila, Bataan, Zambales and Bulacan. Meanwhile, light to moderate with occasional heavy rains affecting NuevaEcija, Tarlac, Pampanga and Quezon (General Nakar) which may persist within 2-3 hours and may affect nearby areas. Expect light to moderate with occasional heavy rains over Cavite, Rizal, Laguna and Batangas and within the next 3 hours. 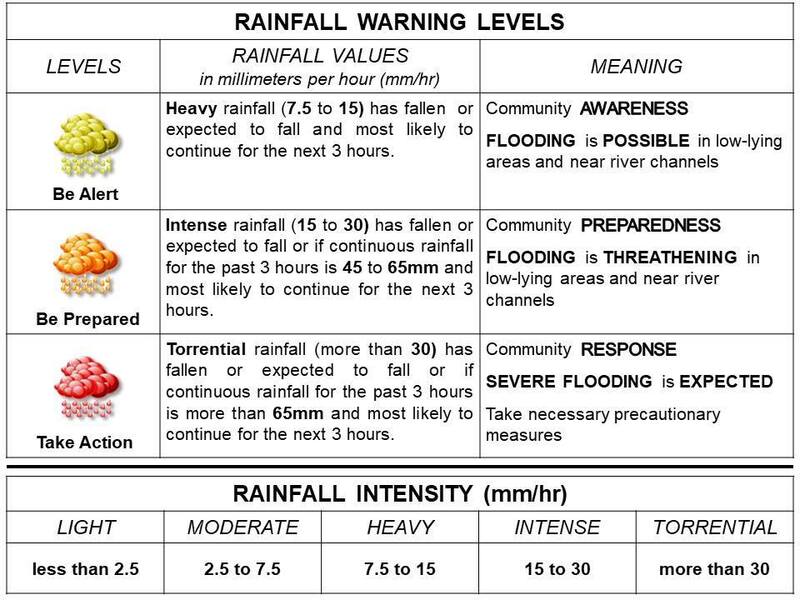 Rainfall Warning Levels according to DOST-PAGASA.